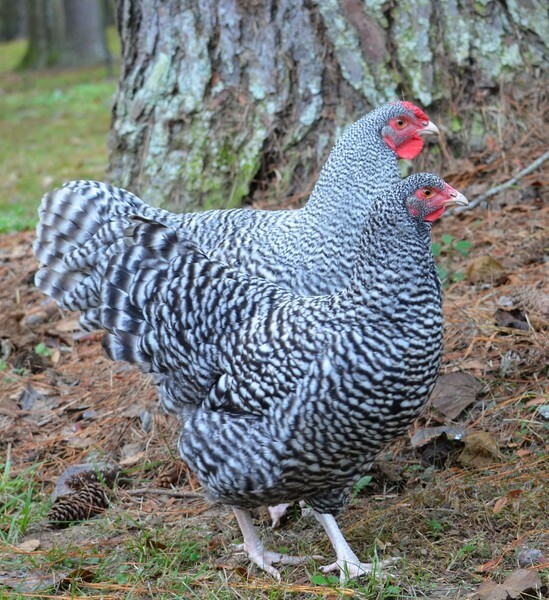 The Izegem is a huge, rare, and beautiful addition to the backyard chicken coop that Belgians have enjoyed for centuries. Now, it’s your turn. 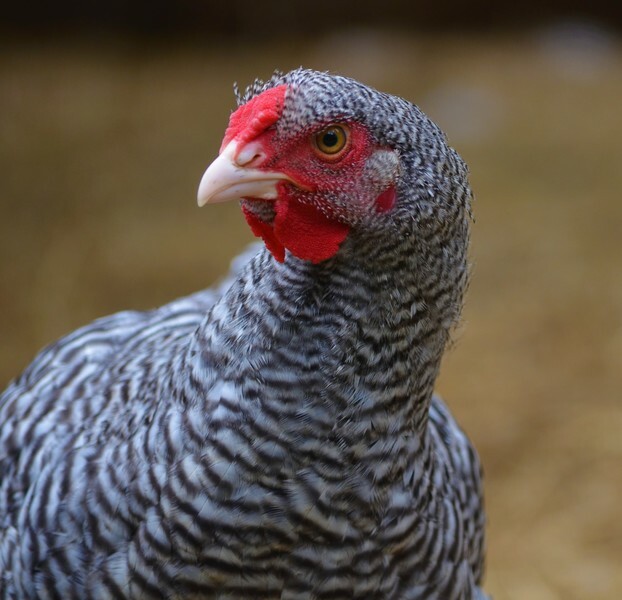 This ultra-rare chicken breed traces its roots to medieval Belgium where it was highly regarded as a delicious table fowl. Izegem is a small city in Northwest Belgium that is not very far from the French border and the English Channel. The breed suffered a catastrophic decline in both world wars in the 20th Century. (Izegem is near some of the famous battles of World War II including the Battle of Dunkirk.) In the 1970s efforts were made to save the breed using remnant flocks of the once-popular birds. 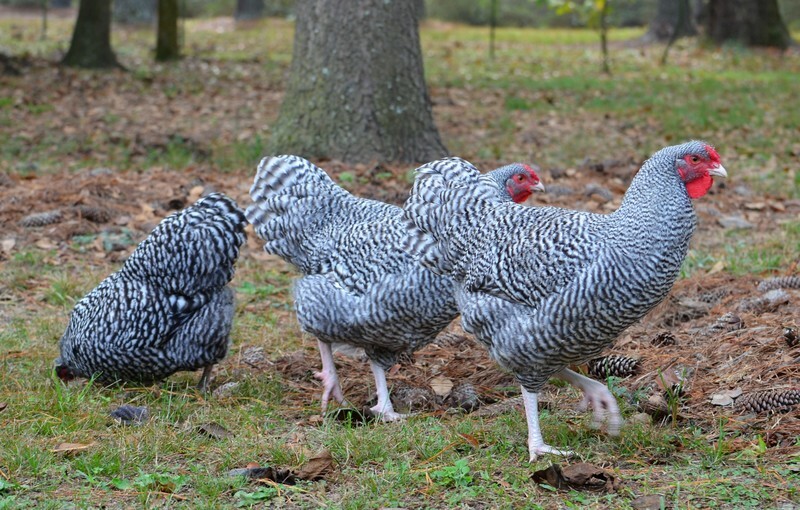 With their rose combs and cuckoo feather pattern American poultry hobbyists inevitably draw parallels between the Izegem Cuckoo and the quintessential American chicken, the Dominique. However, several points of distinction are worth noting, among them that the Izegem pre-dates the formation of our country by at least three centuries. And, in size, an Izegem is to a Dominique as a bodybuilder is to a gymnast. Dominique roosters may weigh 6 lb. 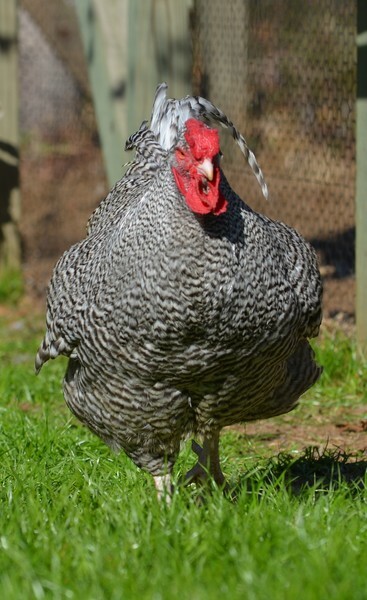 and the Izegem rooster may weight almost half again as much, most of it muscle packed on their stocky frames. Izegem have white skin, Dominiques have yellow skin. And, while the combs are similar between the breed, a side-by-side comparison reveals obvious differences in size and shape.